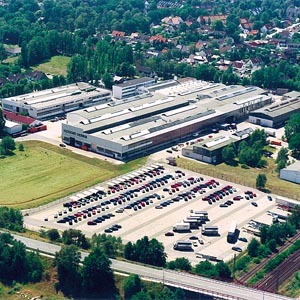 After re-organization of the Klöckner Group, DESMA becomes an independent member, consisting of both firms KLÖCKNER DESMA Shoe Machinery located in Achim and KLÖCKNER DESMA Elastomere Technologies based in Fridingen. KLÖCKNER DESMA Shoe Machinery makes big investments in designing technologies and in the mould shop. 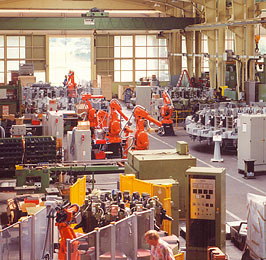 Advanced machine control concepts as well as new processes for shoe and sole production are developed. DESMA celebrates its 50th anniversary. 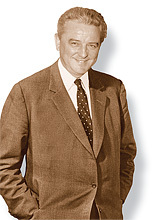 DESMA has confidently started the new millenium, with one of our best-ever years behind us. We look forward to building on our excellent foundations in the years to come. 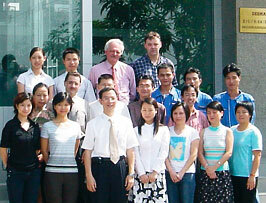 Enterprise – DESMA China gets down to work in 2003.
and looking forward to meeting the challenges of the future. A time to celebrate – and for once, relax! 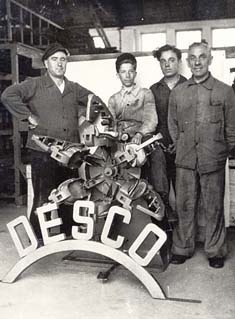 DESMA customers, suppliers, employees and their families take the chance to reflect on 60 years of innovation and service to the footwear industry. Full Speed ahead into the future! 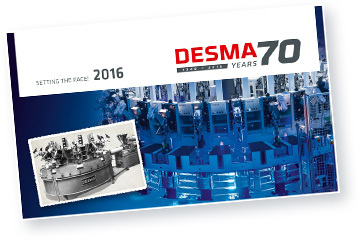 At 70 years, DESMA looks back on decades of exceptional progress, and forwards to meeting new challenges in the years to come. We are helping our partners in the footwear industry realise the factories of the future, today.